Bert And Keith - Octane! Performed as a stand up comedian in the San Francisco Bay area. Night Wing," a top 40 show band based in Orlando, FL. Owned and operated "30 Something" and "Deltons Underground,"
two night clubs in Savannah, GA, and headlined nightly. 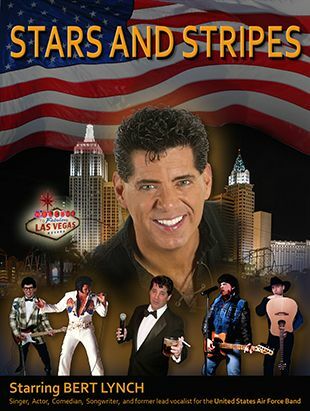 Performed throughout Las Vegas, NV, with "THE BERT LYNCH BAND,"
Celebrity Impersonation show, written and produced by Bert Lynch. Also appeared as a solo performer to M.I.D.I. sequences. and performed for Presidents Carter and Reagan while touring nationally. 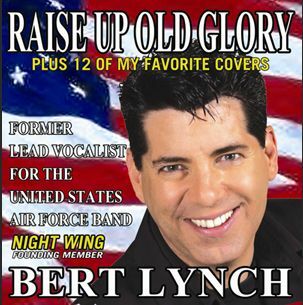 See Bert live as he tours North America and performs "Raise Up Old Glory"
Click the play button below to hear a short clip of the song. Copyright © 2019. Bert Lynch All Rights Reserved.